Come join the early childhood literacy group, “El Grupo de Familias” through ten sessions of discovering interactive reading and play and forming friendships. Families receive vital information about preserving home language and culture, navigating the school system, advocating for kids with special needs, and accessing resources in the community. Designed for parents and educators alike, this DVD contains a series of short modules that focus on specific steps in the process of building trust, teaching literacy skills, and empowering parents to support their kids’ learning. 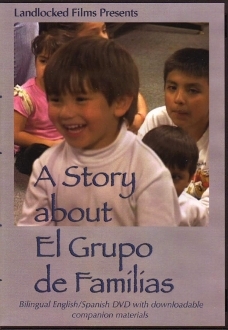 This bilingual English/Spanish DVD contains downloadable companion materials that give you everything you need to start your own “grupo de familias”!